Some landlords have adopted the strategy of charging higher security deposits as a way of reducing property damage. Unfortunately, that doesn’t always translate. In fact, charging a higher deposit really is an acknowledgement that the tenant can’t be trusted. The better option: look for tenants who don’t need to pay a higher deposit — like someone with good credit and a good rental history. A landlord currently is suing his celebrity tenant for property damage, including breaking the light fixtures and furniture, and stealing some artwork. According to the landlord’s claim, the tenant paid around $120,000 for rent, and owes the landlord $95,000 for damage. Just because a tenant makes a lot of money doesn’t mean that tenant will behave. Always follow your tenant screening protocol, regardless of how much you might like your rental applicant. People tend to repeat bad habits, so check with previous landlords, no matter whether the property is posh or plain. 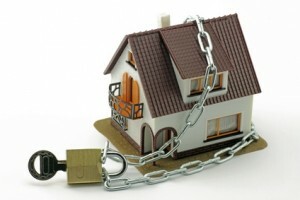 Landlords with furnished units stand to lose the most from theft, but any landlord can be subject to this income loss. Don’t keep exceptionally valuable items in the rental property, or use finishes or appliances that are easy to damage or difficult to maintain. The same goes for outdoor landscaping. Basic, neutral finishes are pleasant and appealing to most rental applicants. There is no need to decorate the unit to the landlord’s specific tastes. What does matter most to tenants is cleanliness. But tenants don’t want to spend all of their time keeping it that way. Make maintenance easy, and tenants will be on board to keep the property clean. Also, work out a system so tenants don’t ignore repairs. Routine property inspections are a great opportunity to check up on any needed maintenance, and to catch tenants who are breaking the lease before extensive damage occurs. Moving day can be hard on a rental property. Anticipate damage to walls, floors and stairs, and if possible, intervene before the damage occurs. For instance, requiring moving pads around sharp corners and floor protectors can save both the landlord and the tenant from income loss. Tenants who are in too much of a hurry are far more likely to be careless, so offer a move-out checklist or tip sheet to help tenants stay organized. It will be necessary to prove that the damage occurred, and that the tenant caused the damage. While photos and videos are useful tools, these alone won’t tie the damage to the tenant. To do that, it may be necessary to show a series of move-in and move-out condition reports. The landlord enjoys an advantage if the tenant signed a move-in report that shows the damage had not occurred at that time. Going after the tenant for more than the actual costs of repairs and other losses will injure the landlord’s credibility, and that can sink the entire claim. Receipts for work completed and out-of-pocket losses bolster the case and keep it professional. This step is crucial in finding the right tenants for the property, but it also is important to collecting a judgment against a tenant who damages the property before they disappear. The information in the rental application contains important clues for locating a former tenant — and their assets. Install a security style video cam covering the entrances and the paths people will use to exit and enter the rental on moving day and at other times. Especially good to cover any steps or stairways! This saved me from a crooked tenant who tried to claim injuries from falling on my “substandard steps” during a contentious move out. I only had to mention the camera and this was enough for the tenant to not only instantly withdraw the claim but also have a texting meltdown revealing more lies and crooked intent! What a satisfying win! Thanks for that info Ross, never thought of that. Not sure what the Privacy laws would be with respect to that. I suppose if you installed a camera on moving day without any objection from the tenant, then no problem. > Be there on moving day and watch the move for 15 or 20 minutes to start and perhaps before they leave. Is it a moving company? Inebriated friends? Friends who don’t care about your property? > Advise tenant that you need to do a Move-out-inspection. So Mr/Ms Tenant, call me when you are finished or nearly finished and we will do a walk thru. Tip: Bring along the Move-in-inspection form that you had signed upon move-in, and compare. > Ask the tenant when you get Notice to Vacate…who is going to be moving you? Do you need moving blankets? Tape for drawers? How can I help to ensure that you have a safe move? Any other suggestions/comments would be appreciated. Next post: Last Man Standing: Is Airbnb Changing the Rental Landscape?